A local family run business expert in paving surfacing include tarmac, patios, driveways and brickwork installation. Whatever your style, we can create the perfect path, forecourt or courtyard area for your home or business in Dunstable and the surrounding areas. Our each design is unique, the kind of surface you choose may be influenced by the intended use, the overall style and layout of the property. Stanleys Roofing & Building Luton brings considerable experience in all kinds of surfacing to the job, a small group of proven, practised professionals will complete your job. A driveway expert comes to meet you and discuss the design. Our expert designer draws up your plans. The team shows up on time to build your driveway. Work and materials are guaranteed. We are proud to have Guild of Master Craftsmen accreditation and a company ethos that embraces accountability and professionalism. We carry liability insurance up to £1million and all our work is guaranteed. The kind of surface you want will depend on its use and what fits best with the property. We offer a great choice in tarmac, paving, and gravel options, ensuring there is something to suit everyone. A well drained area and a solid sub-base are minimum requirements for any paving to remain attractive for any length of time. Our experts will always assess your site, then recommend the best preparation. Block paving is a popular and stylish way to create durable, hard wearing drives, paths and paved garden areas. This method allows for choice in pattern and colour according to the kind of stone, and it can be kept looking great as individual blocks are easy to replace. Stone: Stone slabs can make a beautiful patio and wear well, complementing the garden as they age. Tarmac: Ideal for parking areas and forecourts, tarmac is quick to lay and provides a safe, even surface that is cost effective. Now available in a choice of colours, we can also ensure kerbs and drainage are properly fitted for a great finish. Gravel: Gravel is a great option for a surface that allows water to drain away naturally, and provides a durable yet attractive finish. 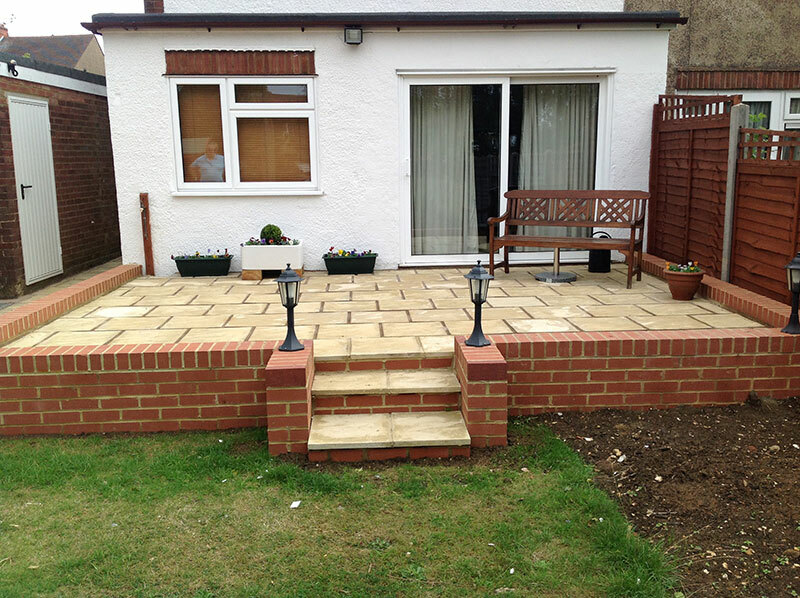 We also replace worn paving, repair broken blocks, stone and tiled surfaces, we are experienced in the extension of existing patios. As general builders, we can add any features you require such as brick barbecues, conversation pits, flower boxes, steps and so on. Ask about our competitive rates for cleaning, re-sanding or re-sealing. Get in touch For more information about our paving, patios and driveways service in Luton and Dunstable, please get in touch today. We can provide a free quote and answer any questions you may have.